First Responders at the Atlanta Police Department Zone 6 and Atlanta Fire Station No. 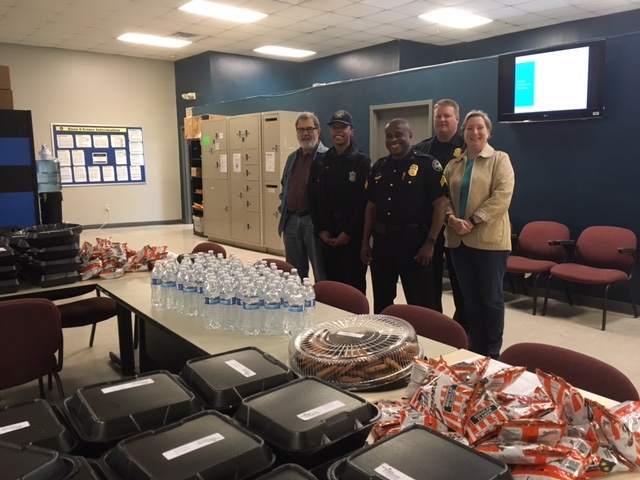 19 were delighted on Thanksgiving Day when three members of the VHCA Safety Committee arrived with a total of 80 meals for all staff on duty. 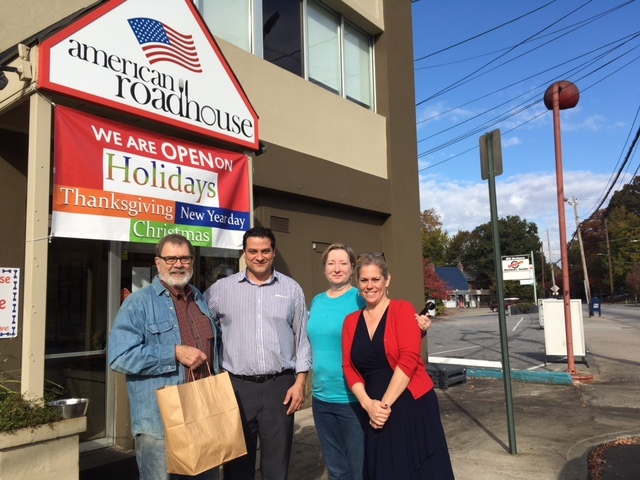 The meals were kindly provided by American Roadhouse, which stepped up in response to a call for meal donations issued by VHCA Safety Committee member Sterling Eaves. We in turn in the Virginia-Highland community are so grateful for our wonderful fire and police staff who work 24/7 to keep us safe, and also for the partnership and support of one of our local restaurants, as we all work together to make our neighborhood and city a great place to live. In an additional gesture of support, the American Roadhouse also offers an ongoing 50% discount to police and fire officers in uniform. 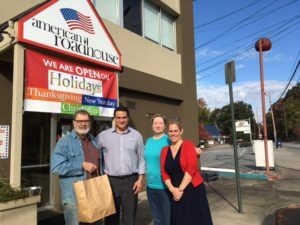 This entry was posted in news and tagged 2016, americanroadhouse, firstresponders, safetycommittee by John Becker. Bookmark the permalink.